This is an invitation for you to come, visit, photograph or just simply enjoy the gardens, where with all year round interest there is always something to be discovered. Through our website you can learn more about the development of the gardens, see pictures around and about them and perhaps arrange a private conducted tour. 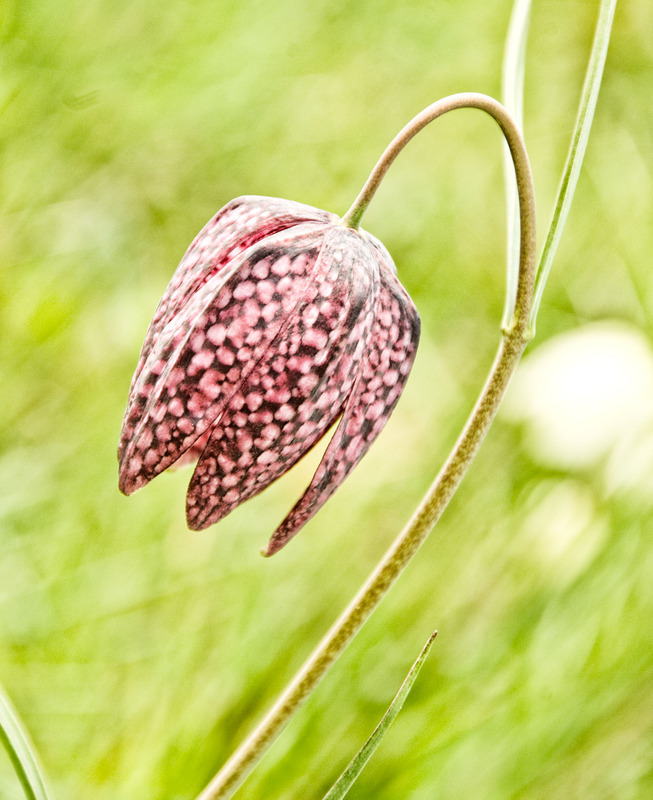 There are surprises around every corner at Tilford Cottage Garden. Winding pathways lead in and out of beautiful displays of unusual plants and flowers. There are hedges that have been sculpted to add some fun and interest and various works of garden sculpture created by Rod Burn. Rod has a studio here where you can see an eclectic collection of paintings, photography and glass fusion. Whatever you do we hope you get as much pleasure from our gardens as we have in creating them. 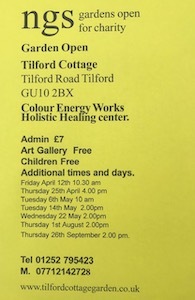 Tilford Cottage is also home to Colour Energy Works. A beautiful therapy centre set in the tranquil cottage garden. 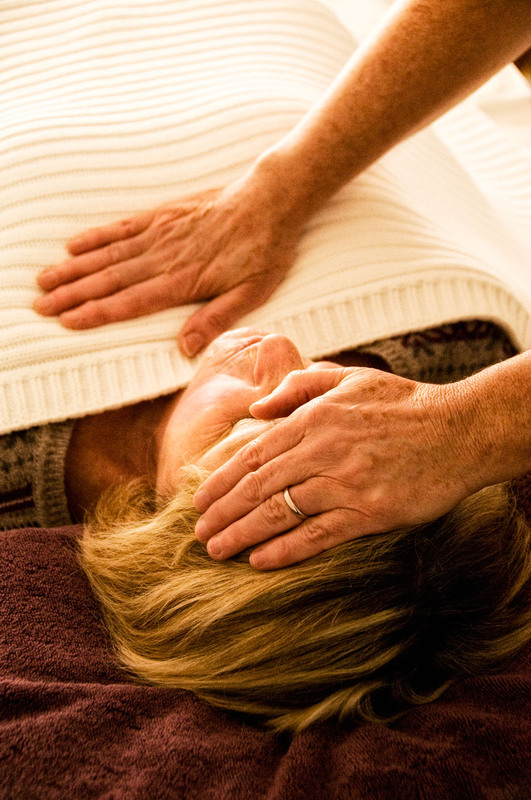 A peaceful space with a holistic garden, visit the website to discover the range of therapies available. The specially designed treatment room is a pure white haven of calm. The walls are lined with Pam’s Colour Therapy silk scarves in Rainbow colours. The massage bed itself, is a full sized single bed that is heated, thus ensuring that the client is fully supported and nurtured. White robes are provided for your comfort and modesty. The marble tiled bathroom floor is heated, as is the solid oak wooden floor. There are no phones or computers to disturb the peace. As part of your treatment you may wish to spend some time removed from the hustle and bustle of every day life in one of the delightful corners of the garden that best suits your mood. Pamper days make a wonderful gift. Sorry folks I’ve been asleep……. Tilford Cottage Garden to be featured on the BBC!